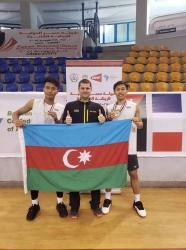 The Azerbaijani badminton team has won two gold medals at Egypt International 2018 tournament in Egypt's capital Cairo. In Egypt (Cairo) the international tournament “Egypt International 2018” began on October 25. The tournament was attended by 169 players from 31 countries. 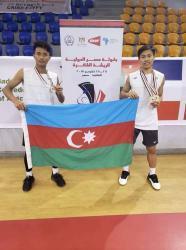 Azerbaijan was represented by badminton players Ade Resky Dwicahyo and Azmy Qowimuramadhoni. Ade Resky Dwicahyo, who started the fight from the main stage, faced Greece's opponent. Athlete from Greece got a leg injury, as a result Dwicahyo passed in 1/8 final. At this stage Dwicahyo won sportsman from Hungary with a score of 2:0 (21-6, 21-14). At 1/4 final stage the Azerbaijani player was stronger than sportsman from Mauritius - 2:0 (21-14, 21-18). In the semi-final, Czech Republic player Milan Ludik was defeated by Dwicahyo with a score of 2:0 (21-16,21-8). At last, in the final match, national badminton player won Hungarian Gergely Krausz without any chances for opponent - 2:0 (21-16,21-16). 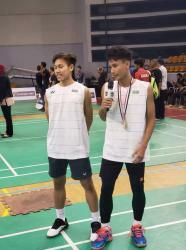 The pair Ade Resky Dwicahyo - Azmy Qowimuramadhoni also had a good performance in the double fight. At 1/4 final stage players from Azerbaijan won Pakistani team with a score of 2:0. 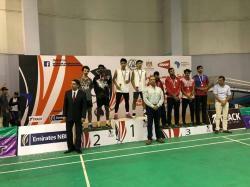 With the same result Egypt's sportsman were defeated by Ade and Azmy. 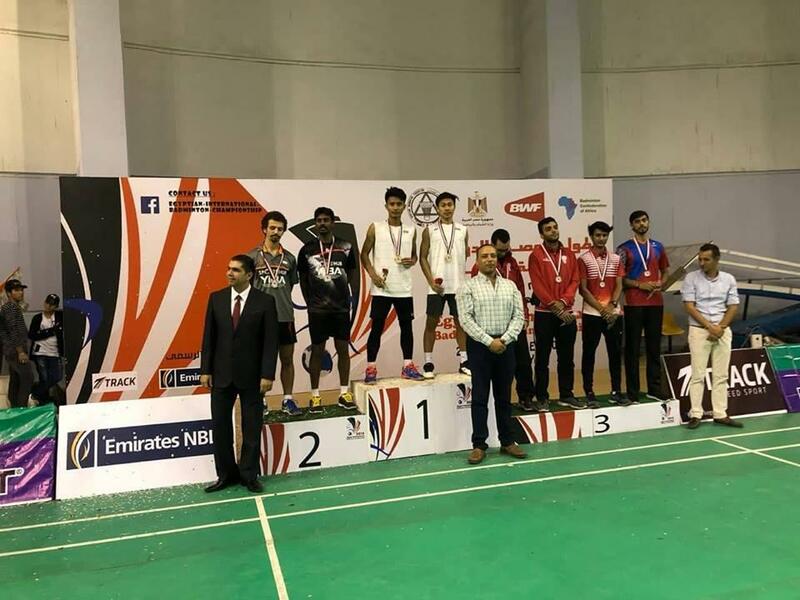 In the decisive final match defeating a mixed team from Malaysia and Egypt national players won a gold medal in men's doubles competition. 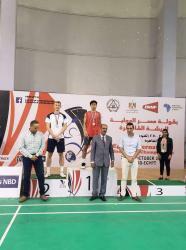 The Egypt International 2018 Badminton Tournament ended on October 28.